Arctic Ice at Record Low with Weeks of Melting to Go | Fresh Air. The Scent of Pine. The daily Arctic sea ice extent for August 26, 2012 fell to a new record low over the satellite era according to the National Snow and Ice Data Center. With two to three more weeks to go in the summer melt season, Arctic sea ice extent has already reached a record low, breaking the previous record set in 2007. The National Snow and Ice Data Center (NSIDC) reported that on Sunday, August 26, 2012, the sea ice extent fell to 4.10 million square kilometers (1.58 million square miles), dropping below the previous record low of 4.17 million square kilometers set on September 18, 2007. 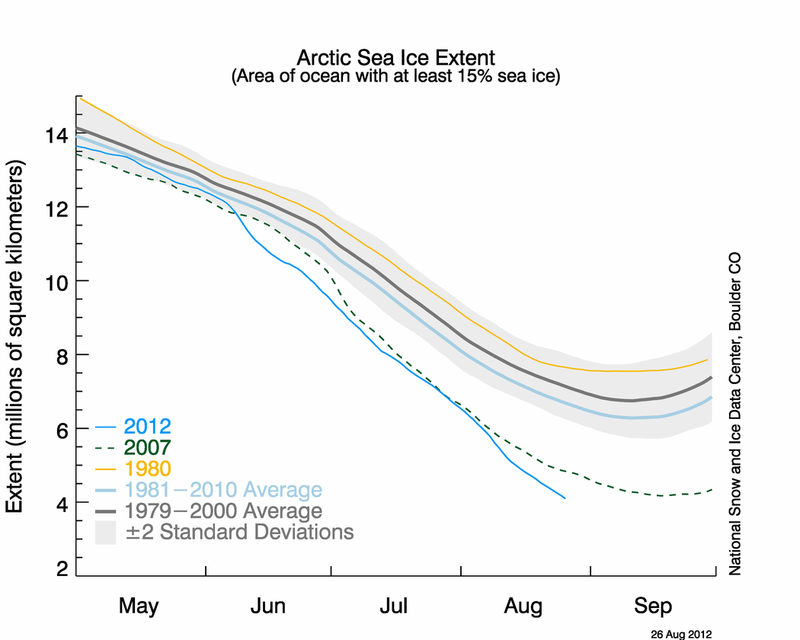 The NSIDC report also noted that all six of the lowest Arctic sea ice extents in the satellite record have occurred in the last six years, from 2007 to 2012. The current amount is roughly 2.4 million square kilometers below the 1981-2010 average for this time of year, a drop in area that is the size of Alaska and Texas combined. With up to three weeks left to go in the 2012 melt season, the actual minimum for this year has yet to be seen. While the 2007 record low could be at least partially attributed to a combination of concurrent weather patterns, no such conditions existed this year, as the NSIDC’s Julienne Stroeve told National Geographic. 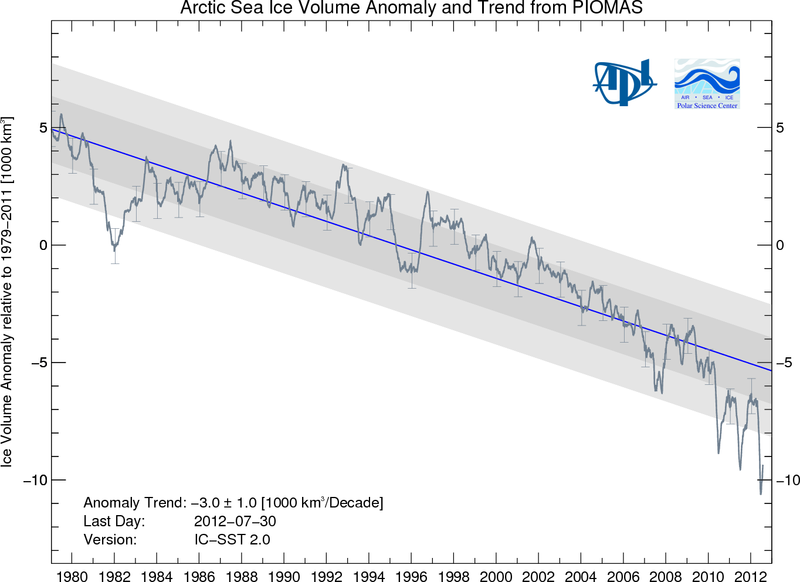 Indeed, Arctic sea ice volume is decreasing precipitously as well. 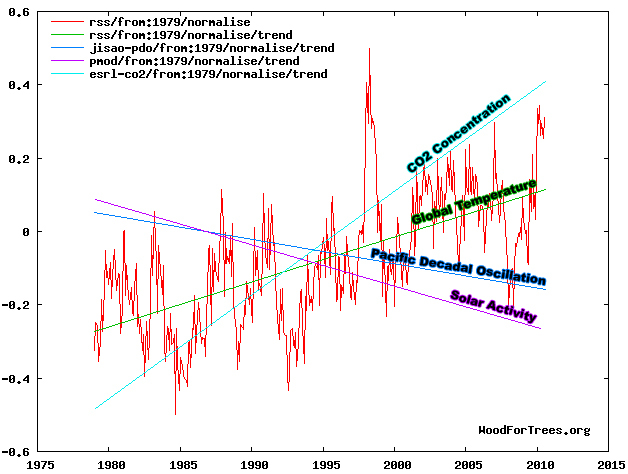 The Polar Science Center at the University of Washington reported that Arctic ice volume for July 2012, the most recent available, had fallen to 8,300 cubic kilometers, 55% below the mean for the period since 1979 and 2.2 standard deviations below the trend. 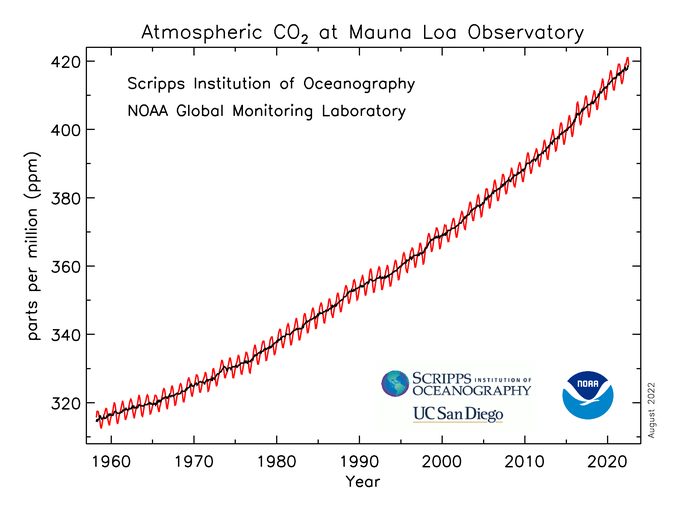 Jennifer Francis, a climate researcher at Rutgers University’s Institute of Marine and Coastal Science, also told National Geographic that this rapid loss of Arctic ice could have significant impacts on global weather by slowing the speed and altering the flow of global atmospheric jet streams, potentially leading to more extreme events as weather patterns stall over large geographic areas.